Pre-Event Registration is now CLOSED. 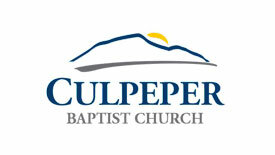 We do however still have spaces available, so Day-of-Registration will open at 6:30am on Saturday, October 1st at the Culpeper Baptist Church, 318 S. West Street in Culpeper. Checks are preferred; Cash – exact change please! NO Credit Cards. T-shirt sizes will be first come first served. Cue sheets are posted, goody bags are stuffed, fingers are crossed for sunny weather!